Did somebody STEAL your copyrighted web pages? Did you know that you already have worldwide copyright protection without putting a copyright notice on your site? But your web site changes all the time. How do you PROVE that the tangible form that you remember is the tangible form that existed the day the guy stole it? You think they are going to believe the time stamp on any of your backup files? And, of course, the first thing a thief will do is erase the evidence. So, imagine the thief's reaction, if you can ALSO PROVE how the thief's web site once appeared. Don't be caught wishing you had already armored your web site for copyright infringement. 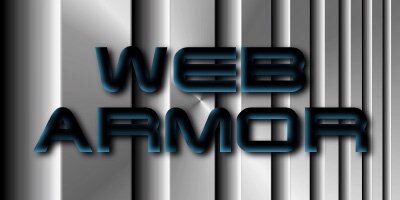 Armor your Web Site today! Download the free WebArmorTM Software and purchase a WebArmor License to create a daily or weekly, surfable, web site trace with authenticated time-date-owner signatures, and file a U.S. Copyright registration only when you need to! See how WebArmorTM can benefit you. Read the WebArmorTM License Agreement.